Three hundred known minerals occur in Pennsylvania. Here are 60 of the most common minerals, metals, and gemstones native to the Commonwealth. They are listed in alphabetical order. Agate is a microcrystalline variety of quartz with a white to gray, dark blue, orange to red, black, or banded color. It is considered a gemstone. Albite is a plagioclase feldspar mineral with a white to gray, bluish, greenish, or reddish color. Almandine is an iron alumina garnet with a reddish-orange to red, deep red, or near purple color in what is usually a deep or dark tone. When cut, almandine is also known as carbuncle. It is considered a gemstone. Amethyst is a variety of quartz with a light violet or deep purple color. When amethyst is greenish in color, it is often referred to as green quartz, prasiolite, vermarine, or lime citrine. It is considered a gemstone. Andesine is a plagioclase feldspar mineral with a white, gray, green, yellow, or flesh-red color. 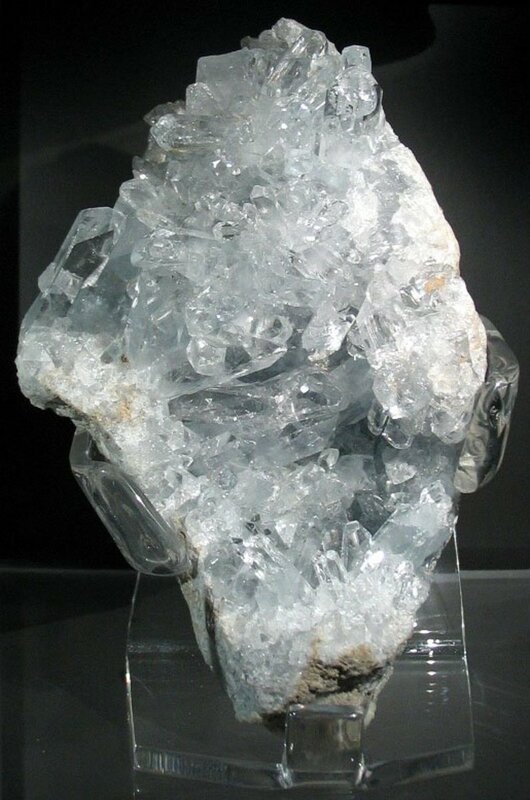 Anhydrite is an anhydrous calcium sulfate mineral that is colorless to pale blue. Sometimes, if impurities are present, it can appear violet, white, mauve, rose, pale brown, or gray. Anorthite is a plagioclase feldspar mineral that is white, grayish, or reddish in color. This mineral also makes up much of the lunar highlands. Antigorite is a mineral polymorph of the serpentine group. It is usually dark green but can also be yellowish, gray, black, or brown. It is sometimes used as a gemstone. Baryte is a mineral comprised of barium sulfate that is usually white or colorless but can contain light shades of blue, yellow, gray or brown. Biotite is a phyllosilicate mineral sometimes referred to as "black mica." It is dark brown, greenish brown, blackish brown, yellow, or white. Calcite is a mineral polymorph of calcium carbonate. It can be colorless, white, gray, yellow, or green. Calcite crystals have significance in some religious traditions. Celestine is a mineral named for its occasionally bluish color. It consists of strontium sulfate and can be colorless, white, pale blue, pink, pale green, black, or pale brown. Chalcopyrite is a copper iron sulfide mineral. It is often confused with pyrite and has a brass-yellow color that sometimes appears with a purplish tarnish. Chamosite is a mineral that is a member of the chlorite group. It may be greenish-grey or brown. Chromite is an oxide mineral of a black or brownish color. Common or clear quartz is a silicate mineral that is clear or transparent in appearance. It is a gemstone. Clinoclhore is a mineral of the chlorite group. As a gemstone, clinochlore is known as seraphinite and has a dark green to grey color. Clinocrysotile is a soft, fibrous silicate mineral of the serpentine group. It is gray to green and most commonly known as asbestos. Copper is a soft and malleable reddish-orange colored element that is a naturally occurring, or free metal. 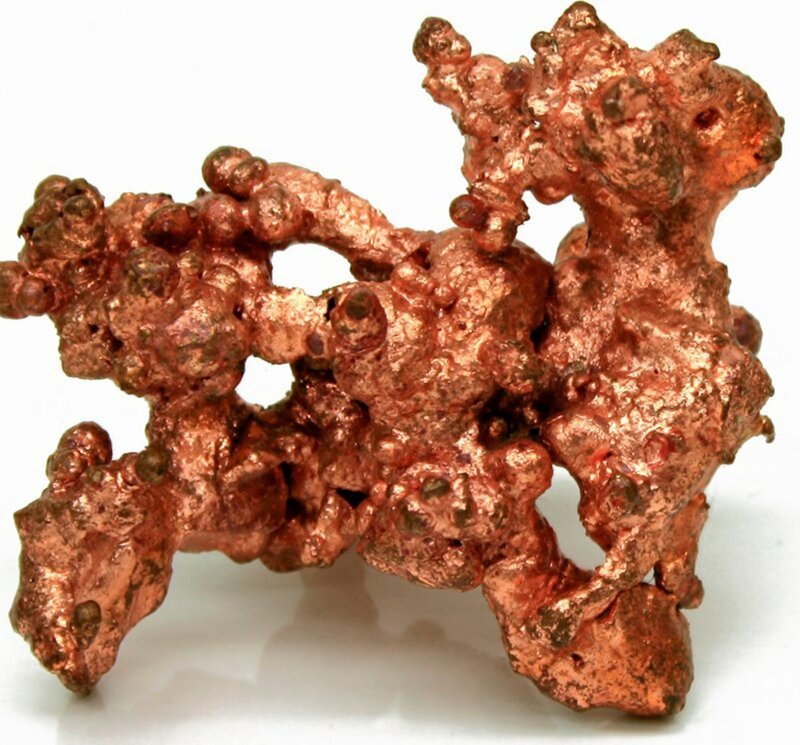 The symbol for copper is Cu, and its atomic number is 29. 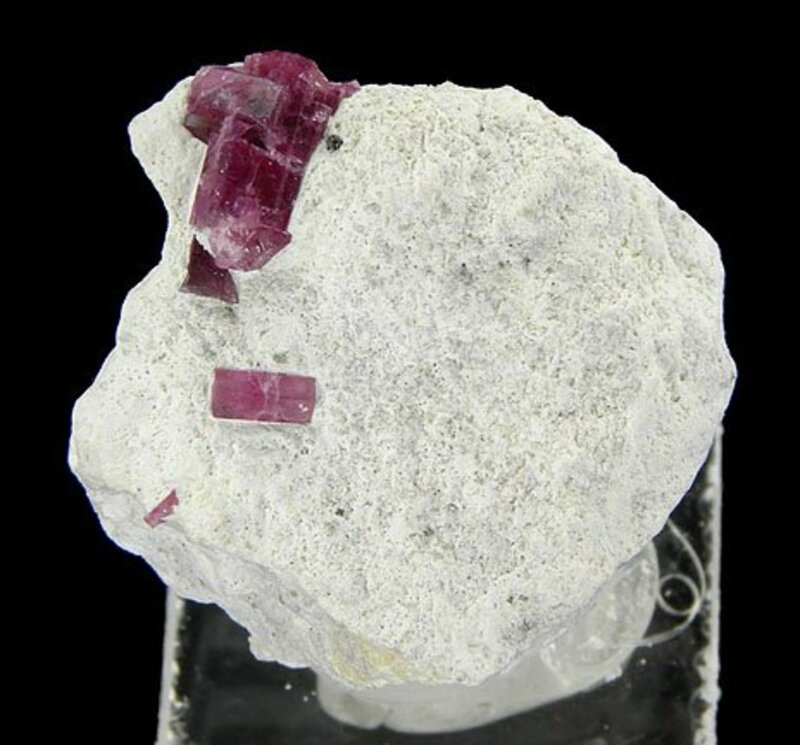 Corundum is a crystalline mineral form of aluminum oxide. It is considered a gemstone and can be clear or transparent or appear in a variety of colors. Red corundum is known as ruby, and all other colors are considered sapphires. Diopside is a monoclinic pyroxene mineral that is considered a gemstone. The colors of diopside can range from its most common appearance of light to dark green to blue, brown, grey, white, or colorless. Dolomite is a mineral composed of calcium magnesium carbonate. It is white, gray, or pink in color. Downeyite is a mineral that is primarily comprised of the element selenium. Downeyite crystals are colorless and transparent and have a diamond-like luster. Eastonite is a mineral of the biotite subgroup of mica. Its colors are typically towards the lighter shades of dark mica. Fayalite is an iron-rich member of the olivine group with greenish yellow, yellow-brown, brown, or pale yellow to amber colors. Fluorite, also known as Blue John, is a halide mineral that can be colorless, white, purple, blue, green, yellow, orange, red, pink, brown, or bluish-black. It is considered a gemstone, but is not widely used due to its softness. Fluorite is well known for its thermoluminescence as well as its fluorescence under ultraviolet light. Forsterite is a magnesium-rich member of the olivine group. It can be colorless, green, yellow, yellow-green, or white. The gemstone variety of forsterite is known as peridot. Galena is a lead ore mineral that is the natural mineral form of lead sulfide. Deposits of galena often contain significant amounts of silver. It is lead gray or silverish in color. Gold is an element that is a highly sought-after precious metal. It is a native metal that occurs as nuggets or grains. 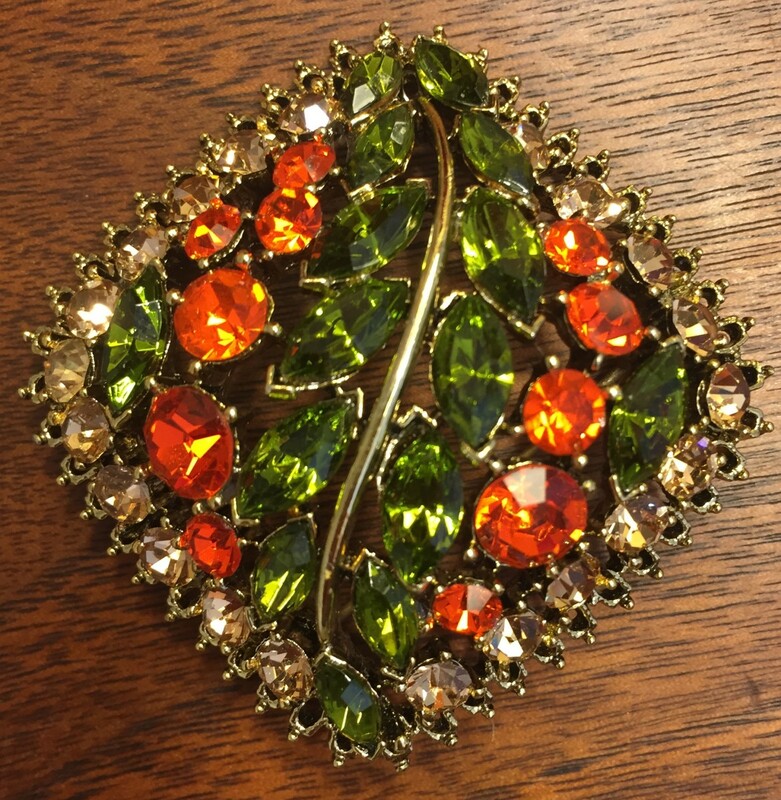 It is a soft, shiny, and malleable metal with a bright yellowish color and luster. The symbol for gold is Au, and its atomic number is 79. Graphite is a mineral that is an allotrope of carbon and the most stable form of carbon under normal conditions. It is steel black to gray in color and may be considered a very high grade of coal known as meta-anthracite. It is a conductor and is also used for its lubricating properties. 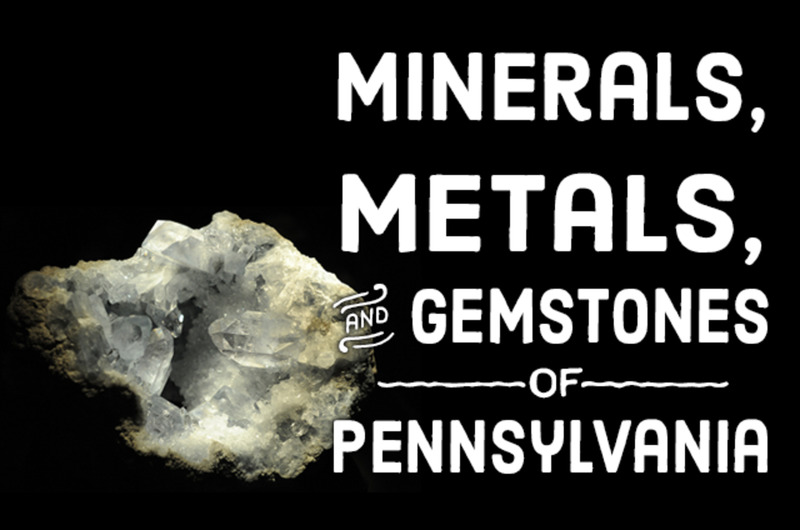 Did you know that eight minerals were discovered in Pennsylvania? The eight minerals which were found in Pennsylvania are celestine, sauconite, lansfordite, nesquehonite, downeyite, matulaite, laphamite, and eastonite. Gypsum is a very soft common mineral comprised of calcium sulfate dihydrate. It is colorless to white in color with yellow, tan, blue, pink, brown, reddish brown, and gray tints when impurities are found. In its crystal form, selenite, gypsum is considered by some to be a gemstone. It was used during the Bronze Age as a substitute for wood in building construction. In modern times, it is primarily used for building materials and fertilizer. Halite is the mineral form of sodium chloride. It is typically colorless or white, but it may also be light blue, dark blue, purple, pink, red, orange, yellow, or gray in color when impurities are present. Hematite is a mineral form of iron oxide. 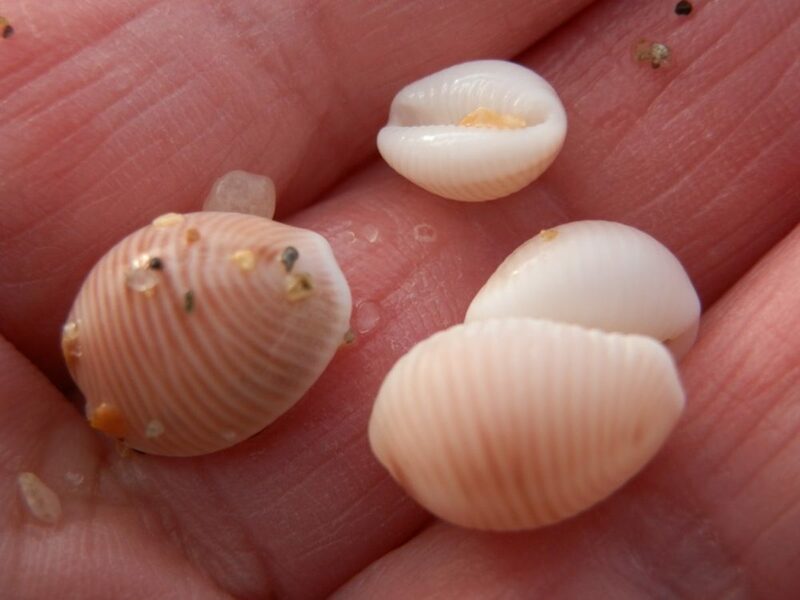 Its name is derived from the Greek word for blood. Terrestrial hematite is a mineral usually formed in aqueous regions, which is interesting as it has been discovered in significant amounts on Mars. It is the main ore mined for iron and is black steel, silver-gray, brown to reddish brown, or red in color with a rust-red streak. It is more brittle than pure iron, but harder. Hematite is sometimes used for jewelry. Kaolinite is a layered silicate mineral that is one of the most common minerals found on Earth. This mineral is usually white in color, but can be red, blue, or brownish. 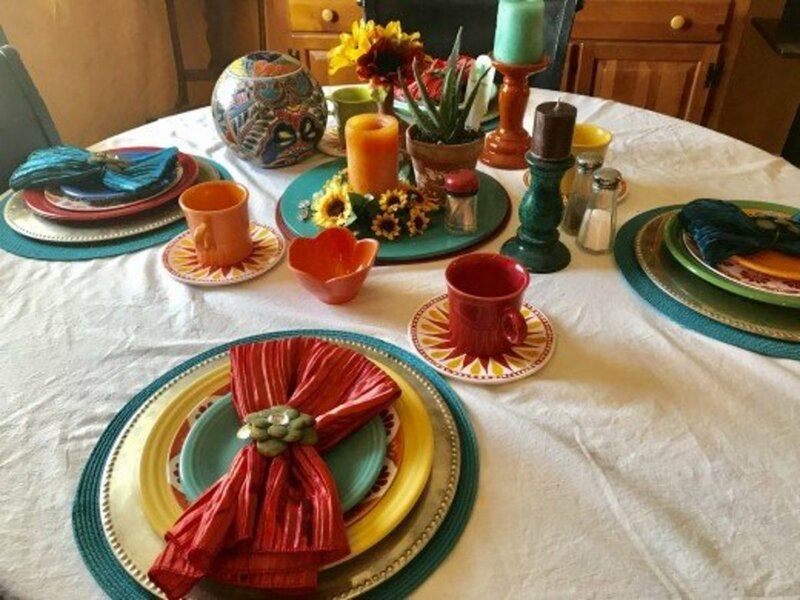 It is a clay that has many uses, including the production of ceramics, porcelain, pipes, paint, and cosmetics. Lansfordite is a hydrated magnesium carbonate mineral that usually occurs as colorless or whitish in color. Laphamite is a secondary mineral formed as a product of burning anthracite coal mine waste. It is dark red to brownish in color. Lizardite is a mineral polymorph of the serpentine group. It is white, yellow, or green. It is sometimes used as a gemstone. Magnesite, also known as magnesium carbonate, is a mineral that is colorless, white, pale yellow, pale brown, pink, or lilac-rose. Magnetite is an iron oxide mineral that is a member of the spinel group. It is black or brownish-black in color and the most magnetic of all the naturally occurring metals on Earth. Naturally magnetized magnetite is commonly referred to as lodestone. Magnetite will react with oxygen to produce hematite. Matulaite is an uncommon secondary mineral that is colorless or white in color. Microcline is a potassium-rich alkali feldspar, which is a tectosilicate mineral. It is clear, white, pale yellow, brick-red, or green and considered a gemstone. Muscovite is a phyllosilicate mineral that can be colored or tinted gray, brown, green, yellow, violet, or red; it can also be transparent or translucent. Nesquehonite is a pentahydrate salt mineral that occurs with a whitish color. It is used for fireproofing and other industrial applications. 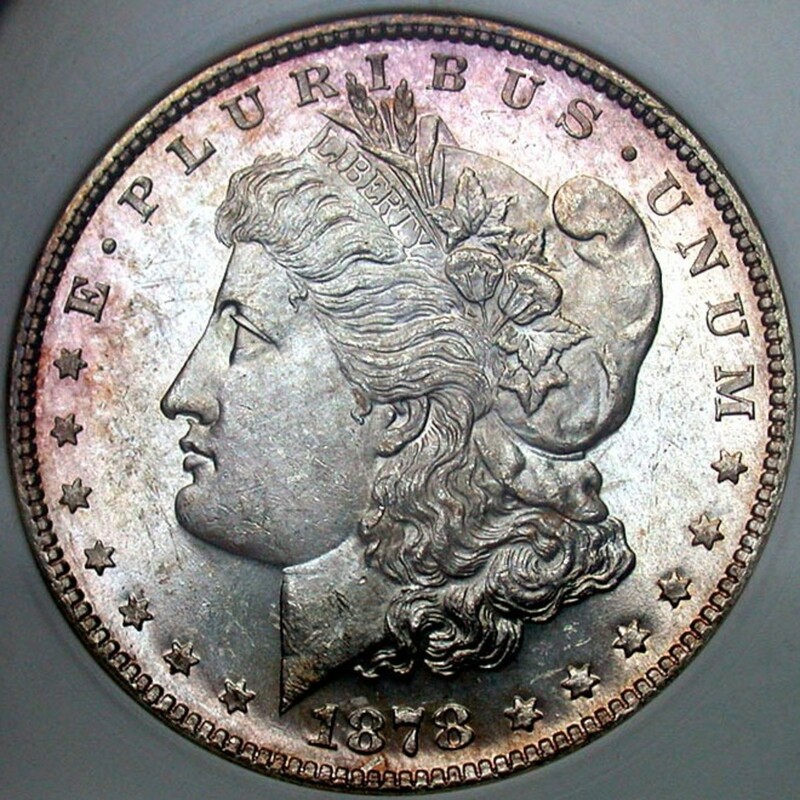 Nickel is a silvery-white colored element with a slight golden tinge that can occur in nature as a free metal. It derives its modern name from a mischievous sprite of German mythology. The symbol for nickel is Ni, and its atomic number is 28. Nickel is a corrosion-resistant metal and is used in many industrial applications including the production of rechargeable batteries. Oligoclase is a plagioclase feldspar mineral that is usually white in color with shades of grey, green or red. It is considered a gemstone. 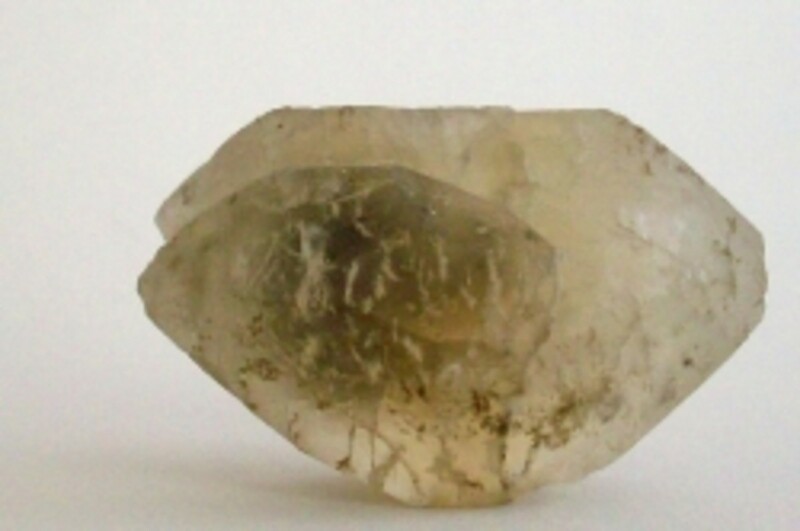 Orthoclase is a tectosilicate mineral that can be colorless, greenish, grayish, yellow, white, or pink. It is a gemstone that is commonly described in gemology as having a creamy or silvery white appearance. Pyrite is an iron sulfide mineral that resembles gold with its pale, brass-yellow hue. It derives its name from the Greek word for fire due to its ability to produce sparks when struck against steel. It is considered a gemstone by some and has been used in the production of marcasite jewelry. Pyrite has also been used with crystal radios as a crystal detector. Pyrope is a mineral member of the garnet family, and as such is considered a gemstone. It is usually red in color, but can take on a blackish or deep purple appearance. Rose quartz is a type of quartz mineral that is pale pink to rose-red in color. It is considered a gemstone by some but is not used very often in jewelry because it is usually clouded with impurities. Rose quartz is more often used for crafts involving carved figures and shapes. Sauconite is a phyllosilicate mineral that has a bluish-white to red-brown color. It is a member of the smectite clay group. Siderite is an iron carbonate mineral. It is a pale yellow to tan, gray, brown, red, green, or black. Siderite can sometimes be found in a colorless form. Silver is a lustrous white metallic element. It is considered a precious metal. It occurs naturally in a pure free metal form or as an alloy. The chemical symbol for silver is Ag, and its atomic number is 47. Smoky quartz is a variety of quartz mineral that is gray or translucent in appearance. It is considered a gemstone that can range in color from transparent to a brownish-grey or even black. Talc is a hydrated magnesium silicate mineral that is extremely soft and sectile. It has a Mohs hardness of 1 and appears white, gray, green, blue, or silver in color. Talc has a greasy feel and is the primary component of soapstone. Talc is most easily recognized as talcum powder. Thorite is a silicate mineral that is nearly always extremely radioactive. It is the most common mineral form of thorium. Thorite can be found in yellow-orange, brownish yellow, brownish black, or black colors. Titanite is a calcium titanium nesosilicate mineral that can be reddish brown, gray, yellow, green, or red. Titanite is often called sphene when it is used as a gemstone. Uranite is a radioactive and uranium-rich mineral that is more commonly known as pitchblend. It is black or brownish in color and is the main ore of uranium. Vanadinite is a mineral of the apatite group of minerals. It is the main industrial ore of the metal vanadium and has a color ranging from colorless to bright red, orange-red, red-brown, brown, yellow, or gray. Williamsite is a variety of antigorite mineral that is oil-green with black crystals of chromite or magnetite often included. 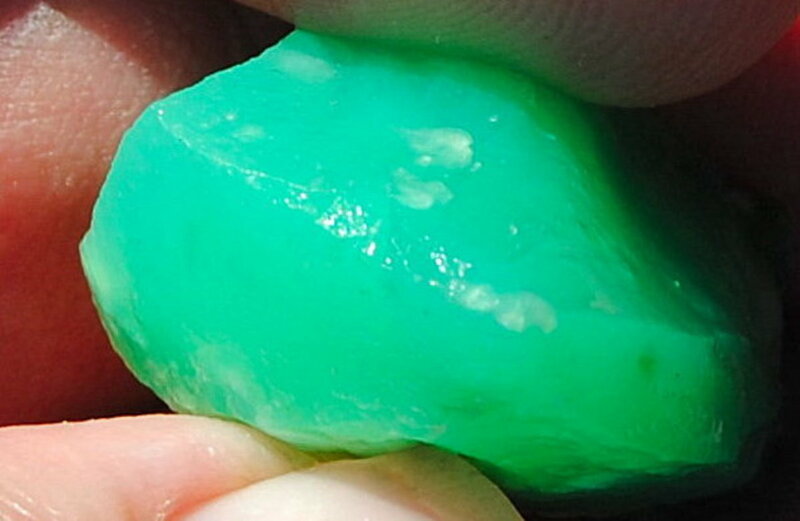 It resembles a fine jade and is sometimes used in jewelry making. Zircon is a mineral in the nesosilicates group with natural color varieties ranging from colorless to yellow-gold, red, brown, blue and green. Yellow zircon is known as hyacinth. It is considered a gemstone, but should not be confused with zirconia or cubic zirconia. Barnes, J. H., 2004, Rocks and Minerals of Pennsylvania (4th ed. ): Pennsylvania Geological Survey, 4th ser., Educational Series 1, 30 p.
Barnes, J. H., and Smith, R. C., II, 2001, The Nonfuel Mineral Resources of Pennsylvania: Pennsylvania Geological Survey, 4th ser., Educational Series 12, 38 p.
Please contact the author of this listing with any additional material, corrections and suggestions.